Nestled in the South Ballard neighborhood of Seattle, this urban mixed-use senior housing development is inspired by the vernacular Scandinavian architectural roots. 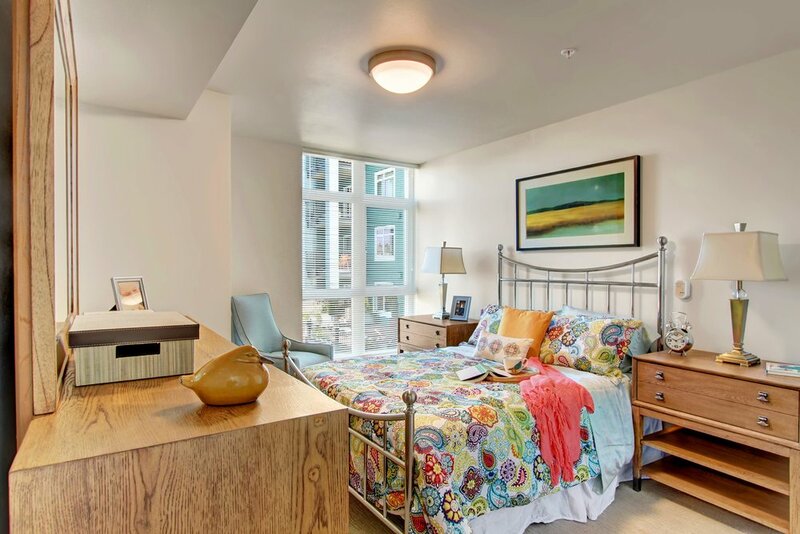 With close proximity to nearby restaurants and local retails, the seven-story building is designed to retain the best aspects of urban living utilizing contemporary elements and highly functional layouts. The building feature Scandinavian-inspired exterior with Öko Skin facades, simple massing, repetitive units and minimizing complex envelope details. The lobby features maple wood ceilings and grand wooden staircase.